Loxahatchee, FL (July 21, 2017) – Excel Dressage’s Amy Speck-Kern has had a progressive summer, with multiple FEI debut performances and the advancement of her goal to receive her ‘r’ judging license with training in Lexington, Virginia. Just before flying north to undergo the rigorous judging exams, Speck-Kern also slipped in to win the Prix St. Georges at White Fences Summer Fun II, held July 8-9, in Loxahatchee, Florida. Speck-Kern rode Zenanta, a KWPN mare (Krack C x Ferro) owned by WBS Group, to a 68.421% to win the FEI Prix St. George and qualify for regional championships. Zenanta, debuted at PSG in June of 2017 with scores in the mid-60s. The flashy moving mare, who has been displaying increasing consistency over the past few months, is becoming more and more relaxed in the show arena, allowing Speck-Kern to showcase her incredible shoulder freedom and engaged hind leg. Speck-Kern has struck a balance between off site lessons with Olympian Ali Brock, a carefully evaluated nutritional program, and innovative tack and equipment to bring the sensitive mare to competition success. 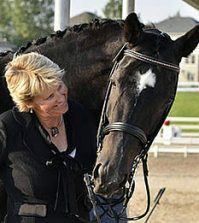 Bred in Holland by Annemiek Raaijmakers, Zenanta’s owners, WBS Group, were formed to support Excel Dressage’s equestrian vision and Speck-Kern’s competitive career. WBS represents ‘work before success,’ which is a reflection of Speck-Kern’s journey with Zenanta. Zenanta’s diet was of particular importance to Speck-Kern throughout her training, and she found complete nutrition in Crypto Aero, a wholefood horse feed that keeps Zenanta cleaning her bucket despite the stress of showing or training. Wanting Zenanta to be as comfortable as possible in her tack, Speck-Kern began riding her in the Tota Comfort System noseband, whose innovative design relieves the torque and pressure along the poll, facial nerves, and TMJ, making it a happier option for Zenanta to step into the hand. 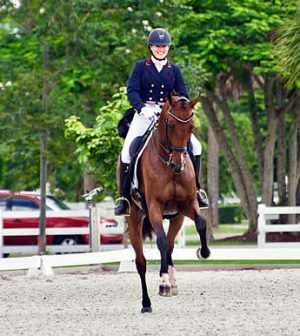 Founded in 2010 by Speck-Kern, Excel Dressage offers training, showing, and sales of top caliber dressage horses minutes from Wellington’s equestrian center. After beginning her career with Olympic Bronze Medalist Michael Poulin and “S” Judge Sharon Poulin, Speck-Kern’s naturally quiet and effective riding style and training methods drew a strong client base of competitive amateurs. A successful FEI competitor, in addition to her recent wins and debuts in the Prix St. Georges and Intermediaire I, Speck Kern was ranked top in the nation at the 2016 Markel/USEF National Young Horse Championships aboard Kathryn Hoog’s KWPN mare Gerona, and has developed a base of international adult amateurs that compete through the FEI level. Excel Dressage imports a select number of exceptional sales and show prospects each year, and Speck-Kern is also an equestrian Ambassador for the Kids Cancer Foundation. By providing the local community and afflicted families with therapies, treatments, counseling and support, the Kids Cancer Foundation is reminiscent of the research and protocols that saved Speck-Kern’s life when she was diagnosed with Acute Myleoid Leukemia at 18. 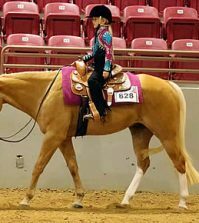 With her sights set on eventually obtaining and international judges accreditation, she was also recently accepted into the USEF “r” program, attended the exams in Virginia in July, and continues to develop her string of competition horses and list of clients.